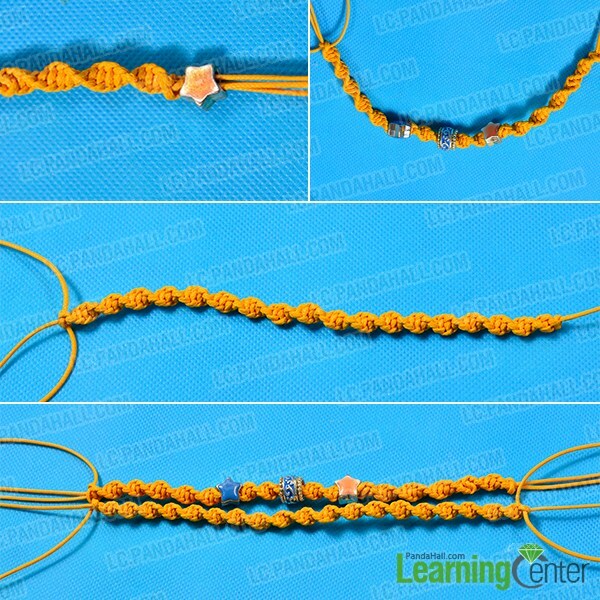 Summary: In this Pandahall tutorial, I'll share a yellow cord friendship bracelet with you. 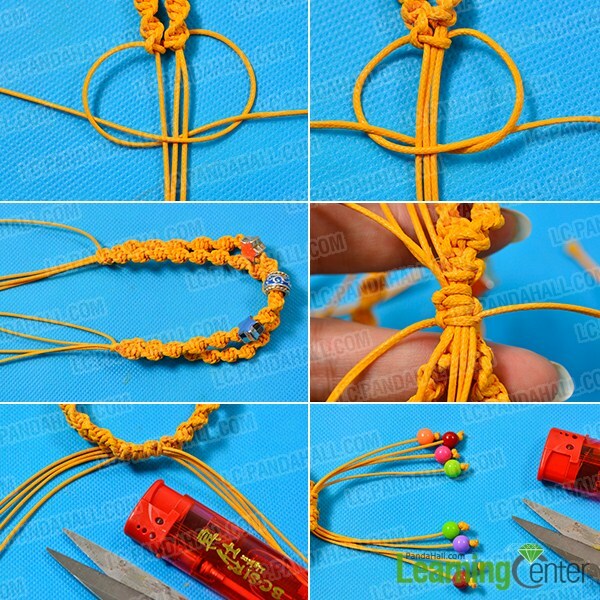 Read on to know how to braid such a friendship bracelet by yourself. 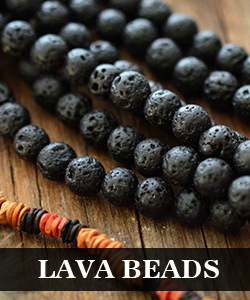 There are many DIY cord bracelet projects on our website. In this DIY project, I want to share another one with you - a yellow cord friendship bracelet. 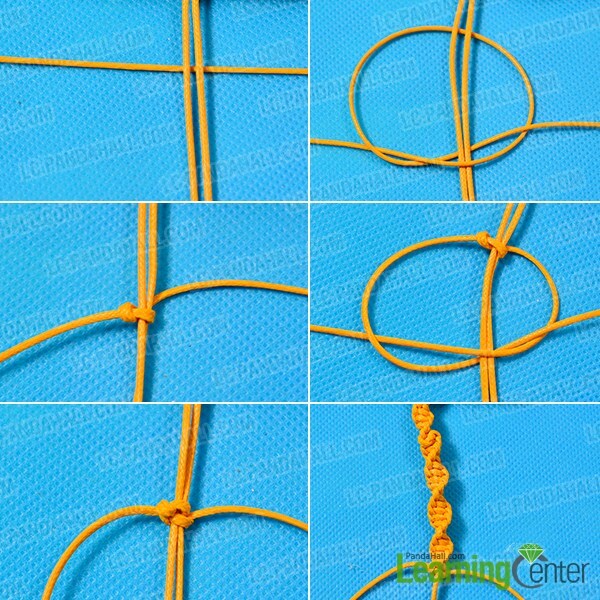 Unlike other DIY cord bracelets, the braided pattern of this yellow friendship bracelet is relatively simpler. Now, let's see how to braid this yellow cord friendship bracelet. 7th, cut another three pieces of 1mm yellow waxed polyester cords. Then, refer to the 2nd step to make enough knots until it’s as long as the first cord bracelet. 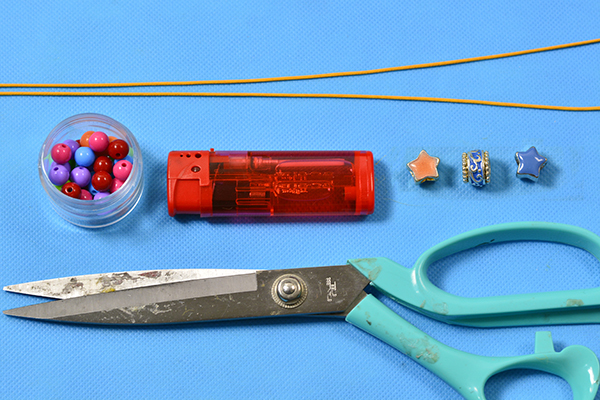 3rd, add an 8mm orange round acrylic bead, an 8mm red round acrylic bead, an 8mm pink round acrylic bead, an 8mm green round acrylic bead, an 8mm green round acrylic bead, an 8mm purple round acrylic bead, an 8mm blue round acrylic bead and an 8mm red round acrylic bead one by one to every cord end and make a knot respectively (as shown in the picture). Here is the final look of the yellow cord friendship bracelet. 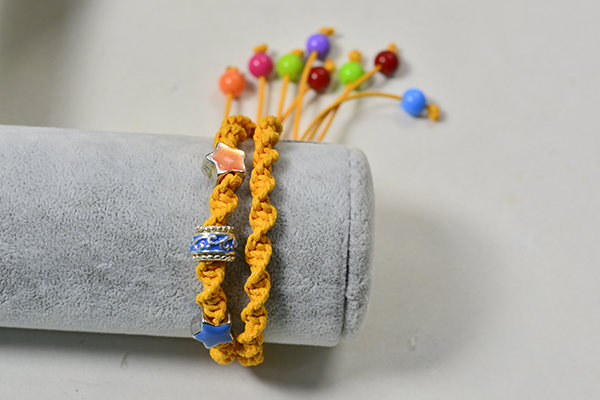 Do you like this yellow cord friendship bracelet? It can be a good gift for friends. 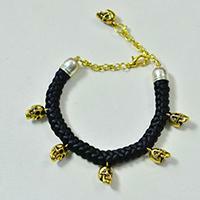 It's very easy to learn the knot pattern in this cord friendship bracelet. So, collect some cords and beads to DIY one cord friendship bracelet for your friends.